Say the name Bulgari and you instantly think luxury. 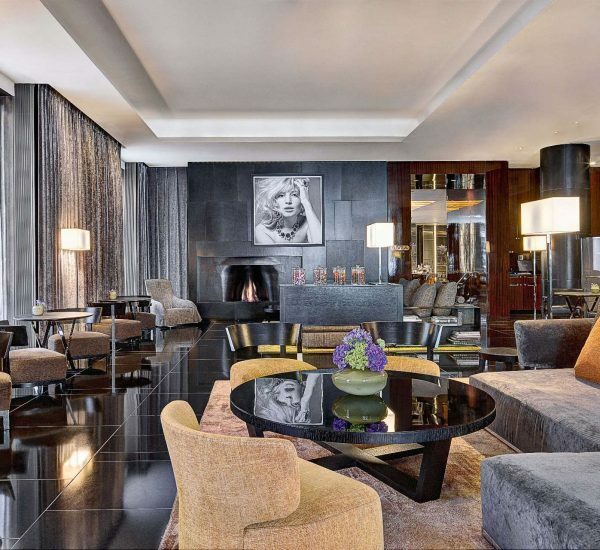 A new offshoot of the Italian jewellery house, Bulgari has now opened a hotel in London with sister hotels in Milan and Bali. The brand is now part of the French luxury group, LVMH, which paid £2.8 billion for the company, adding it to a stable of brand names that includes Louis Vuitton, Christian Dior, Veuve Clicquot and Moet & Chandon. 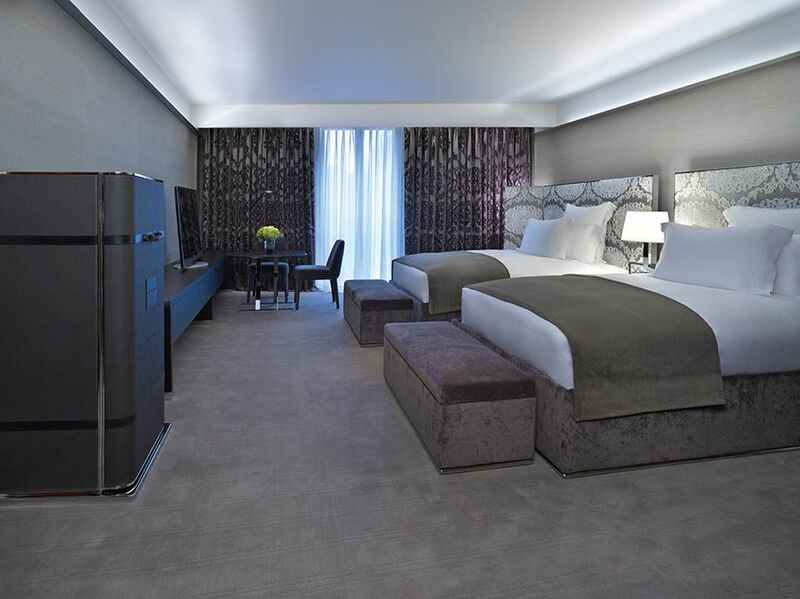 I spent one night in the luxurious London hotel and I think I have found hedonistic heaven in Knightsbridge. 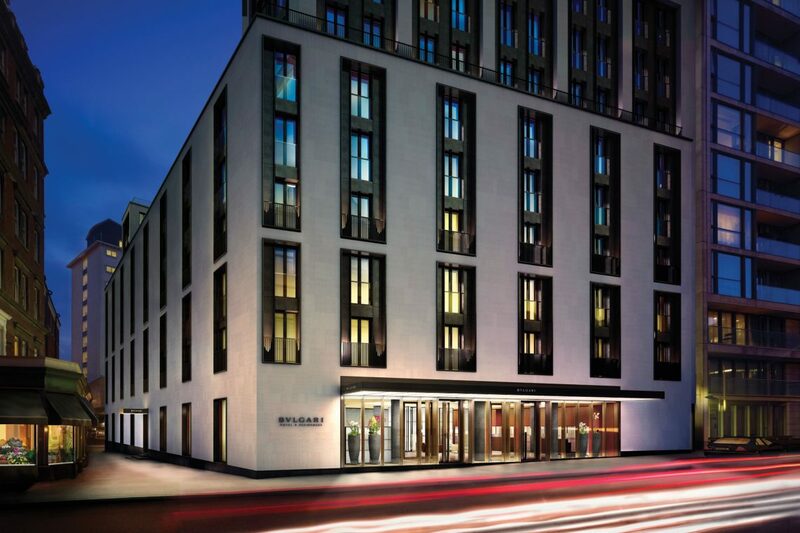 Bulgari Hotel is just across the road from the One Hyde Park built by property developers Nick and Christian Candy and a short walk away is Harrods, The Royal Albert Hall and much more. The location is fabulous for shoppers who like the great designer names of Sloane Street and Knightsbridge but also for people who like to be just slightly out of the hustle and bustle of the centre of London. The hotel does not disappoint, from the moment you walk into the gorgeous but yet masculine lobby. The lobby, with its black granite floors, polished mahogany and security men with radio earpieces looks like one of Bulgari’s 300 stores, complete with glass cabinets showing off some of the chain’s priceless merchandise, and you are tempted by the beauty before you even get to see the other sights in store. The smell of the reception is divine and the greeting you get from the friendly staff dressed in stylish uniforms is spectacular. After check in, we were taken on a tour of the hotel, which opened May 2012. First we saw the facilities on offer, from Il Ristorante (where we would later dine) and the cigar shop to the spa and gym. The hotel sinks six floors underground, there is a subterranean ballroom, a 47-seater cinema, a rather lovely large 25m pool with glittering green-and-gold mosaics and a spa with 12 treatment rooms – mind-boggling when you see the hotel from the outside that it offers so much in such a premium location in London! After hopping into the leather lined lift, we were taken to our room for the night. I was not disappointed as we entered; the rooms are extra big, with beautiful touches of understated style. That Italian classic elegance of Bulgari is hinted throughout the space – for instance the mini bar is a leather covered traveller’s chest and a Bulgari mirror leans casually against the wall. Every accessory is a design classic. The bathroom is huge with a shower, bath and separate toilet room. 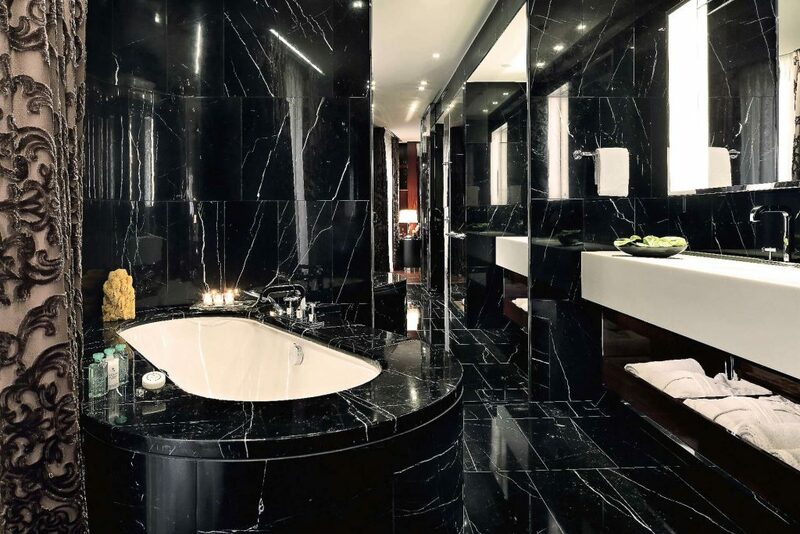 The bathroom products are Bulgari, of course, and include fabulous full size soaps, candles and an incense stick which are alight as you return to your room each evening. And what is left on your bed after turn down? Only a little bottle of Bulgari perfume and a box of chocolates…perfection! There are also other additional touches like business cards that they print for you with “your new address in London” and a great selection of DVDs (there is a little menu of the DVDs which have been categorized into sections to make finding a favourite easy) and you can watch anything from Italian classics to Disney! We asked for a few movies to enjoy while relaxing in our new environment with a glass of champagne. A lovely staff member came to help set it up and showed us how to use the player, then helped us out when we realised we had left a phone charger behind. It was no trouble to obtain one. The air conditioning system in the room was great and worked really well to keep the room cool and fresh, with the Bulgari products helping to make not only your room but the whole building smell sublime. The staff at Bulgari were so helpful in arranging all the things we required during our stay. They can provide items such as tours around the city and organise items you need during your time at the hotel. I was very impressed with how quick things were arranged and sorted with an ease and nothing was too much trouble for the friendly staff. It was nice to pop out of the hotel for a walk to Harrods (which is just behind the hotel) and then return to be asked by the doorman how our walk was and did we need help with our bags! After handing over our purchases (which “magically” appear in your room via a hidden staff portal system behind the front desk – very James Bond! ), we sat down in the bar for a quick cocktail. The theatrically dramatic space of Il Bar is divine. 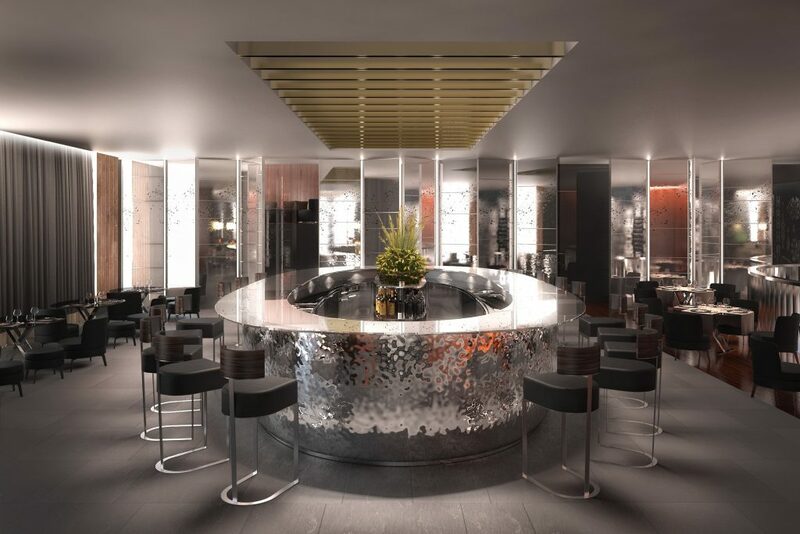 The bar is one-of-a-kind and was created by Italian artisans, reproducing traditional hammered silver. The ceiling is finished in titanium; the floor, black granite; the walls, polished Sapele mahogany. 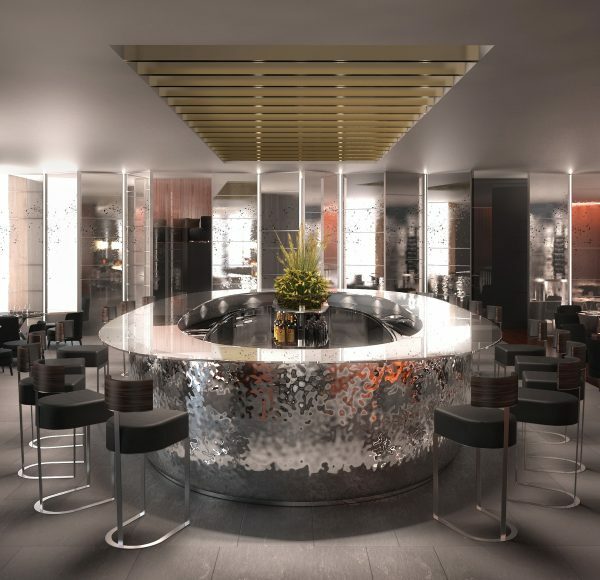 With its own exclusive entrance from Knightsbridge Green, this is the new place to be seen in London, I will definitely be returning for a cocktail or two! We then returned to our room for our preparations before dinner at Il Ristorante and, although the massive walk in wet room was indeed hard to tear oneself away from, the promise of fine Italian cuisine was enough to tempt me back out of our beautiful room. To me, The Bulgari oozes sophistication and allure; the service is thoughtful, attentive and completed with a smile, such a rarity to have such a high design hotel with such wonderfully animated staff. 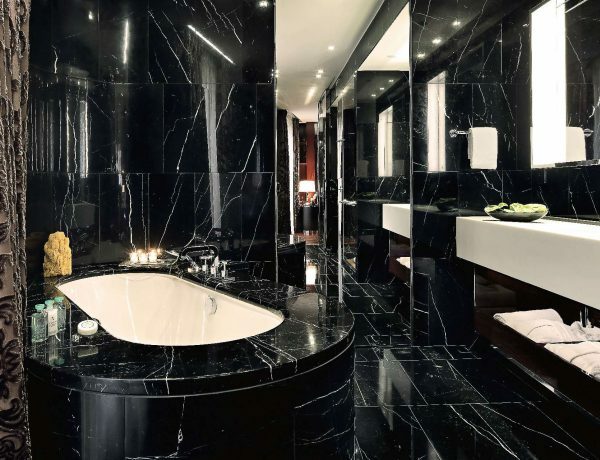 The Bulgari is indeed an adults’ playground and my stay there was one never to forget.Never been to Milan? No matter! 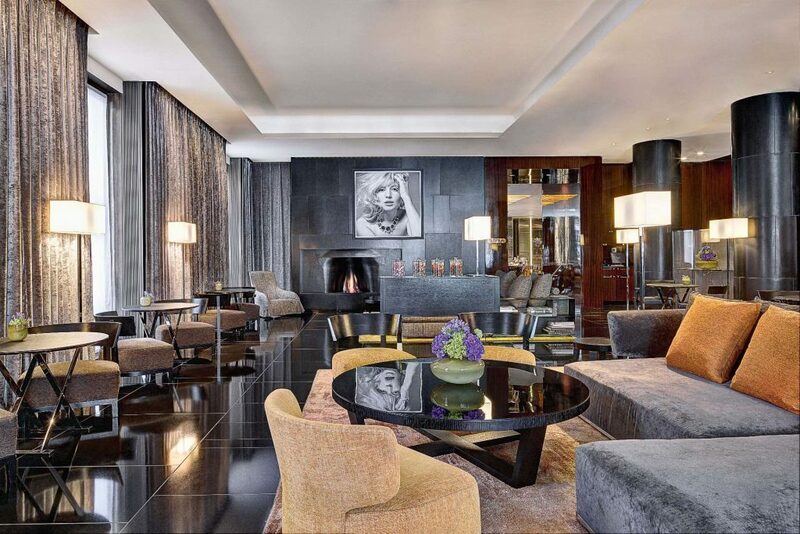 Head to Knightsbridge, for with Bulgari there is no need to jump on a plane – The Bulgari Hotel is the soul of London wearing an Italian bespoke suit. Bellissimo!! !